Who makes this tasty stuff? I do! That fellow in the picture! I make this delicious food! I make artisan pickles, cooking videos, Elizabethan feasts on period cooking equipment, and more; and I want everyone to eat better and take pride in their food. I do small scale catering, recipe and menu development, even food writing on occasion. I'm always open to interesting opportunities to help people cook and eat better food. I have a strong background in French technique and have worked in fine dining in Los Angeles and with celebrity chefs during my time in culinary school. I am an obsessive and voracious student of traditional and historic ingredients, techniques, and cultures. I am the founder of Witt's Pickles; an artisan producer of traditionally preserved pickled vegetables, focusing on preserving locally sourced organic produce, as well as the techniques of food preservation itself. 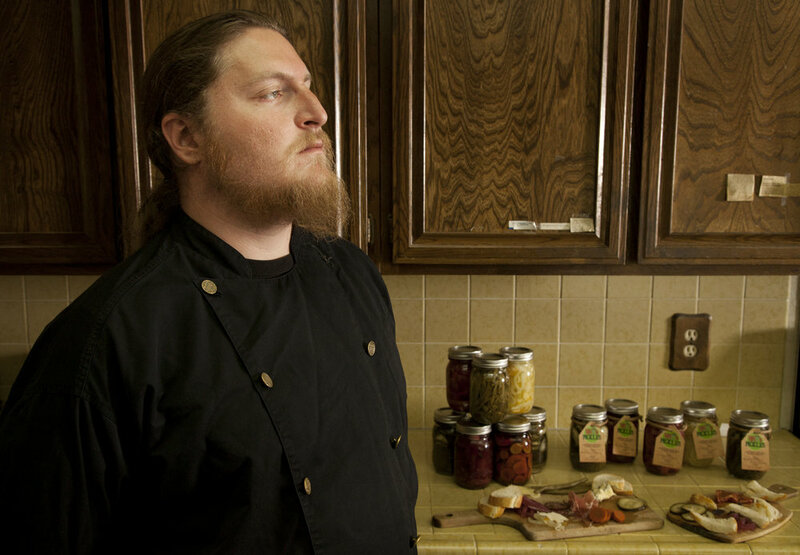 Witt's Pickles is a San Diego based producer of small batch pickles, handcrafted with locally sourced organic produce. Witt's for Dinner is a cooking show about transforming basic ingredients into exceptional dinners and encouraging everyone to try their hand at making their own meals from scratch.